“Cheesemaker ages well” was the headline Saturday when the Winnipeg Free Press featured a story on Manitoba’s Bothwell Cheeseer as it celebrates 75 years of making cheese in New Bothwell just south of Winnipeg. Click here for the full report. 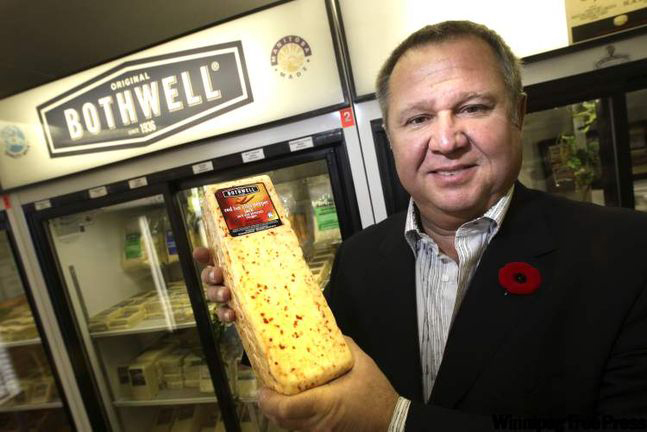 Click here for a brief history of Bothwell Cheese published in Savour Winnipeg. To reach the Bothwell Cheese website, click here.